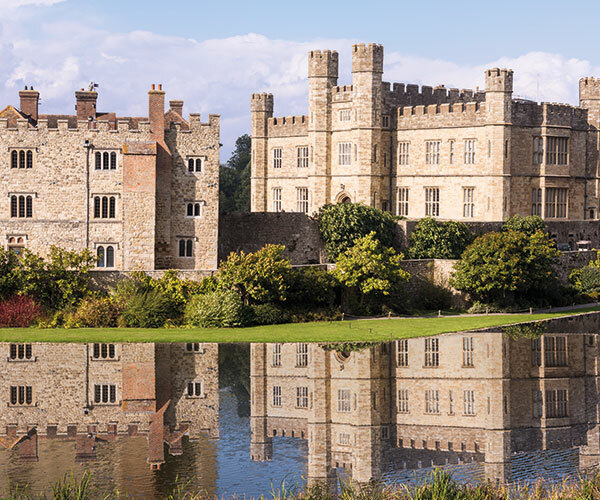 Rising from the still waters of its lovely moat and surrounded by 500 acres of parkland and gardens, Leeds Castle is a perfect site to visit with a qualified local guide. There has been a castle here since 1119. 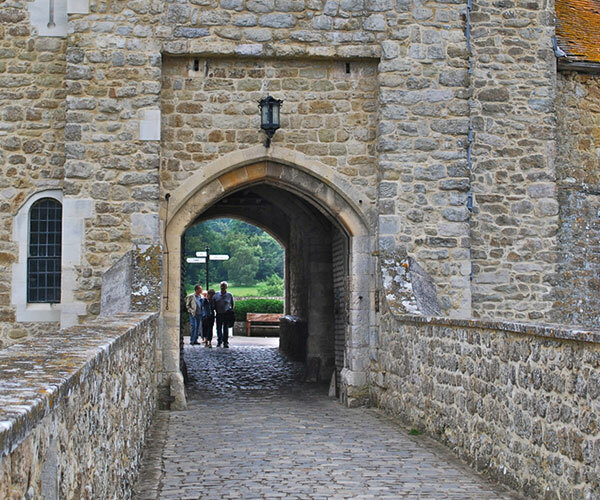 In the 13th century it came into the hands of King Edward I, becoming the warrior king’s favourite residence. In the 16th century, Henry VIII used it as a home for his first wife, Catherine of Aragon. Today, the castle’s interiors and grounds date mostly from the 19th century and it is built on islands in a lake formed by the River Len. The interiors were sumptuously refurbished throughout the 1920s and 30s by its last private owner, Lady Baillie. Leeds Castle is perhaps best appreciated for its grand setting, beautiful gardens and parkland wildlife. Can be combined with Canterbury.